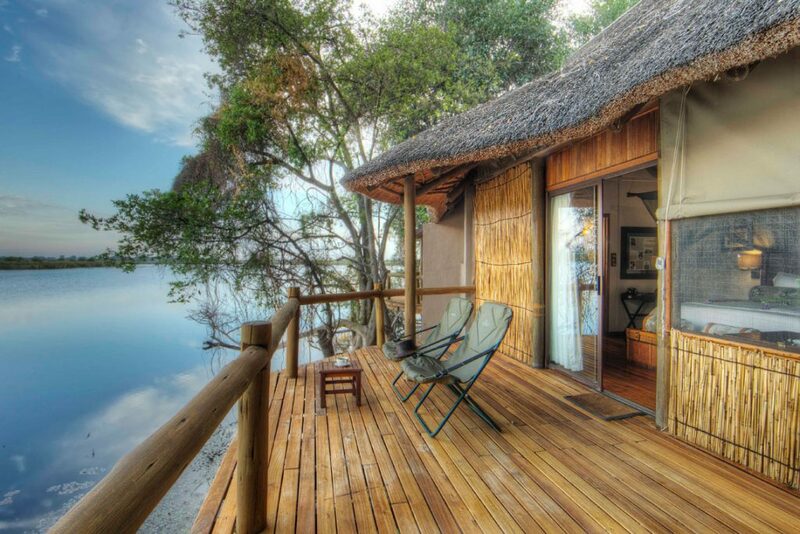 Xugana Lagoon is widely recognised as the most spectacular permanent water site in the entire Okavango Delta, which most awe-inspiring oasis. 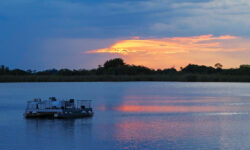 The Okavango River rises in the highlands of Angola yet never reaches the sea; instead its immense waters empty over the sands of the Kalahari, where the great thirst of the desert is quenched in a wilderness of freshwater lagoons, channels and islands. 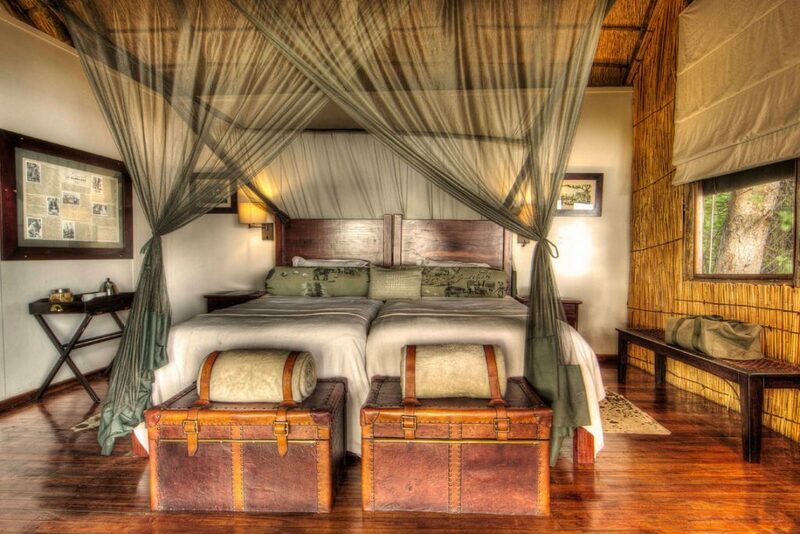 Xugana Island Lodge is situated on a private concession and takes full advantage of this magnificent site. An expansive deck and al fresco dining area overlooks the vast, pristine body of water that makes up the permanent Okavango Delta. The lounge, bar and dining areas are set back under the Ebony and African Mangosteen tree canopy in open-sided thatched structures, and the swimming pool, located within the mature gardens in the centre of the island, is a perfect place to relax. 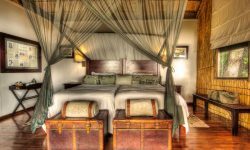 Accomodating 16 sixteen guests in large, raised, reed and thatch lagoon-facing chalets, with en-suite facilities and private viewing decks optimally placed on the shaded fringe of the island.